A respected Austin, Texas singer, Penny Jo Pullus opens a window here to some of her favourites on an album that comprises eight cover songs from a total of 11. Backed by a stellar cast of Austin musicians the primary feel here is of a southern soul and rock groove with guttural guitar, sweet organ and occasional fiddle. Covering the likes of Neil Young, Doug Sahm and Mac Rebbenack and accompanied by the aforementioned stellar line up of Austin musicians including Ian McLagen, Will Sexton and Jimmy LaFave, Pullus sings her heart out in a very attractive manner. While most of the attention might go to the covers including a great version of Give Back The Keys To My Heart and a muscular rendition of Look Out For My Love her own songs hold their own in this exalted company. Nowhere To Go is a tough slice of a tough life with some fine guitar while Baby Please stands out with its masterful mix of guitar and fiddle and southern soul on a heart rending hard luck story that is simply magnificent. Rounding off the album with fiesty versions of Son Of A Preacher Man and the Stones’ Dead Flowers this is cracking little listen. Pullus comes across as someone who would be fabulous to see in person. As it is her personality crackles across these songs. Blabber’n’Smoke enjoys string band music. Fingers flying over stringed instruments, banjos, mandolins, ukuleles, guitars. Fiddles and saws bowed. Played with virtuosity or wonderfully shambolic, old time or bang up to date, we dig it. So we were very happy to hear that the very fine San Francisco troupe, For Fear The Hearts Of Men Are Failing were having a Kickstarter campaign to fund their second album having loved the previous release City Music. We were even more happy and intrigued that the band were looking for the princely sum of $1000 in order to unleash this beast. Having achieved their target the result is The Wonderful Clatter, an almost onomatopoeic title for this cracking collection of songs and tunes that teeter on the edge of craziness and totter like a drunk rambling home. The forebears of FFTHOM are bands like The Holy Modal Rounders and The Incredible String Band. They’re immersed in the sounds and songs of vintage rural Americana and come up with what is a fairly unique style that will scare off casual listeners with its harum scarum scapperings. For anyone however who can trace the lineage of rough hewn American folk music from the early days, captured by Harry Smith on his definitive anthology, they are gold dust. The album opens with the speed freak banjo and pell mell vocals of Ghosts and Dreams, a wonderful clatter indeed. A great segue into the childlike naiveté of Up Jumped The Devil is inspired and its clear here that despite their apparent randomness they do take time to arrange their songs as the glockenspiel and melodica backdrop support the fine yet ragged harmonies on a song that could have been on one of The Incredible String Band’s early albums. While The Meadow and One Thing I Know are relatively straightforward country romps (although with FFTHOM nothing is really straightforward) the true delights are on the definitely quirkier songs. No Point To Life (with guest accordionist Skyler Fell) is an existential trip that sounds as if it’s being sung by a bunch of Russian Nihilists (and is reminiscent then of the late great Tuli Kupferberg). Devon Doesn’t Like The Beatles playfully describes a troubled teen who grudgingly acknowledges that The Beatles exist because “they’re Lemmy’s favourite band,” a delightful ditty. Aside from the whimsy they can pull out of their collective hat the gorgeous Bad Dreams (written and sung by Meg Ruth King) that has a haunting quality and sounds like a lost outtake from Karen Dalton. The Wonderful Clatter is a fine successor to City Music then and one which deserves to be heard far and wide by those who love traditional music and those who like to walk on the wild side. “Imagine that David Lynch and Nick Cave had a hillbilly baby. A hillbilly baby that yodelled.” Well imagine no more because that absurd description just about sums up the extraordinary Canadian artist Petunia although it misses out on the Godparents. Jimmy Rogers, Willie nelson, Slim Whitman, Lux Interior, Ray Condo and Tom Waits among others. An eclectic mix but stir them all together, add a soupcon of Elvis and even a hint of Pokey Lafarge and you might end up with this enigmatic character. Although he has released several albums in Canada this is the first to get a push here and as such it stands as a great introduction to his left field genius. Petunia (a name given to him by a mysterious lady friend) emerged from a Vancouver post punk scene and embraced country music. Picking up the Vipers, composed of the cream of the local crop including members of the late Ray Condo’s band, he can deliver straightahead country pop that can thrill and exhilarate as on the closing cut here It Ain’t where the band cut loose with a jitterbug frug with guitars a flaying and a propulsive swing that comes across a little like Jimmie Dale Gilmore fronting The Mavericks. This song alone should propel Petunia to playlists across the land and grace wedding dances galore such is its feelgood factor and if more folk had good taste. However its simply the last in a collection of songs that blast from the past and then are given a unique twist courtesy of Petunia’s slightly warped vision. Opening with the cowboy yodelling of The Cricket Song the listener is lulled into a false sense of security as the fifties’ sheen, the tin pan alley chorus, the comforting pedal steel playing all add up to a song that could possibly kill Martians. In the midst of this radio hour comfort Petunia however tosses in a slice of discord as he reveals that he has left his “baby” almost as an aside. As a result this picture perfect description of a beautiful moonlit Canadian night hides a darker story. The darkness comes to the fore on the following song Mercy. “If Tom Waits could yodel and I bet that he can” sings Petunia as he launches into a Waits inspired carnival with the previous sumptuousness of the music replaced with the clash and clatter one expects from Waits while the guitarists produce some fine Marc Ribot inspired licks. The breathless rockabilly rant of Maybe Baby Amy follows on sounding like a country version of The Cramps, a trick repeated on Gitterbug where fat pedal steel replace fuzz guitar. There’s a Latin sound to Bright Light and Che (Guevara’s Diary) and a return to a more conventional approach on Yes Baby Yes, a western swing type number. A cover of Hoagy Carmichael’s Stardust is almost conventional and crooned superbly but at the heart of the album there is a darker core with The Ballad of Handsome Ned a highlight. A cinematic introduction leads into an atmospheric obituary for a local musician who inspired Petunia and offers the band the opportunity to stretch out. This is trumped however by the spectral majesty of Broken Down Love. A lament graced by some incredible saw playing by Doug Tielli it is wonderfully evocative of dark skies with a shivering loneliness and as it stutters and almost halts the sobbing guitar, the spooky saw, the lyrics and Petunia’s voice all add up to something close to perfection. One of the best releases of the year you really should try to hear this. Shu Nakamura is a Japanese born guitarist who is these days ensconced in New York and is a member of Joe Cassady’s band The West End Sound. Blabber’n’Smoke really liked the album he released with Cassady under the name Joshua last year. That album was a dark and cantankerous collection of odd sounds and weird imagery, somewhat removed from Cassady’s regular beat poetry rock. Now Nakamura adds another string to his bow with this solo release. The eleven pieces have a lighter touch for the most part with acoustic guitar prominent and an intriguing mixture of Eastern and Western sounds reflecting his journey. The album is bookended by a pair of instrumentals which capture this mix. The opening East To West starts off with glass bells and oriental sounding stringed instruments before a fuzzy guitar refrain heralds the new world. By the end of the album on The Other Side of Memory Nakamura is firmly in America, the West to be precise. This is a brooding and dusty piece, an imagined soundtrack to a movie much like A Small Good Thing’s album Slim Westerns. Although the oriental feel remains this conjures up images of deserts, cacti and a shimmering heat, a great piece. Throughout the album this continental divide is evident with Nakamura delivering the simple folk pop of Ima Koko Ni and the intricate guitar tapestry of Lion and Mary in Japanese. His guitar playing is a delight throughout, Mountain Dreams, another mystical reverie, features some fine acoustic picking as does the title track. The use of percussion in these tunes (and elsewhere) is superb with bells and wood blocks constantly adding another dimension. To cap all of this Nakamura delivers a killer in Train Song. With a percussive hammered sound reminiscent of Ry Cooder’s version of Jesus On The Mainline keeping the song on the tracks, slide guitar and a lush rhythm carry his laid-back vocal on this fine slice of gospel influenced Americana, it’s a truly beautiful delivery. Overall this might not signal Nakamura as Japan’s version of Bert Jansch but listening to this one is reminded of some of Jansch’s work. Another comparison is with that of another New York guitar master, Gary Lucas whose eclectic approach is resembled here. A well crafted and at times scintillating listen. 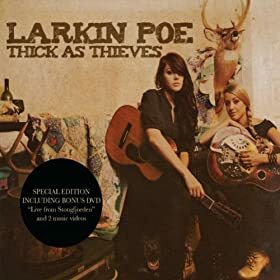 Larkin Poe Thick as Thieves. Following on from their four seasonal themed EP’s released in 2010-11 the Lovell sisters return with another EP, Thick As Thieves, (really a mini album with seven songs), that continues their route from bluegrass to a very listenable country and soul tinged folk rock. The addition of keyboards (by Will Robertson) adds an almost funky Little Feat shuffle while new guitarist Rick Lollar reinforces this with some fine playing. In conjunction with the Dobro and lap steel playing of sister Megan there is a more Southern feel to these songs than on the previous releases. Apart from the almost Dixieland On The Fritz (which features some quirky guitar licks from Lollar as well as soprano sax) the songs are rooted in the folk/country/pop idiom (which is as good a way of saying I’m not sure how to describe them). Nevertheless the opening duo of Fox and Play On are certainly very radio friendly with catchy hooks with the latter being particularly impressive. While Celebrate is a little too riff heavy the soul/rock groove of Love or Money is the must successful song here, the band lock down and Rebecca Lovell’s vocals are suitably sultry. The closing song, Russian Roulette is another success although it does seem to bear a debt to The Beatles’ Eleanor Rigby at times. Overall the sound is that of a pair of accomplished singer songwriters edging towards the mainstream and it might dismay some who have enjoyed their live appearances which have tended to feature Rebecca’s voice and mandolin playing along with Megan’s very accomplished guitar playing. The good news then is that you can purchase a special edition of the disc which has a DVD of a concert they performed on Norway last year. With just long time drummer Chad Melton and guitarist Lollar it is stripped back and features several songs from the Seasons EPs as well as much of the newer material. Rebecca literally has to roll up her sleeves as for some reason the band wear medieval garb and her bell-bottom sleeve hides her mandolin. Despite a fairly static set of camera angles and far too much time spent on “atmospheric” close ups of the candles and carvings adorning this small hall it’s a fine capture of where they were at last year. Larkin Poe are currently touring the UK, catch the remaining dates here. Eugene Twist. The Boy Who had Everything. A debut album from a Glasgow singer and songwriter is something that happens almost every week these days. It’s been some time however since we’ve heard anything as unique and well crafted as this offering from Eugene Twist. Everything from the Dickensian name to the packaging and the production of the music reeks of quality and then there’s the music. A sumptuous collection of songs that are almost orchestral in their delivery with a hint of the chanson stylings of the late Jacques Brel as delivered by Scott Walker. A touch misleading perhaps as Twist doesn’t actually sound like Brel (or Walker) but the drama, the big occasion, the sweeping vistas are all here. You might want to call it baroque pop. The album opens with a frenzied sax driven New York noire jazz sound with Latin undertones on If There’s Love Where I’m Going. A cracking start where Twist’s boho lyrics could easily be steaming from underground grates in NY or Paris, nighttime subterranean poetry reaching for air. The song is delivered with the force of a hurricane. Unfortunately the other songs don’t approach the sheer gusto of the opener but they all have their moments. Twist writes well in a surrealistic style, half Breton, half Lear and delivers his lyrics with a sardonic air, able to sound tender or tough. His ballads such as Tough Act To Follow and Actress On A Mattress are dreamlike swoons with delicate pillowings of guitars and keyboards on a somnambulistic outing. The tittle song starts off with this shimmering sense before a crashing guitar breaks in the song left turns into a Bad Seeds fantasy. It’s Down To You has a slight touch of Dylan with its whirling organ sound while Gauguin is a soaring pop song that has hooks aplenty and a sixties jet sound that is simply fabulous. A multi layered album in its lyrics and instrumentation this repays repeated listens and grows each time and presents its author as a major talent. He could be huge, in the meantime however he’s still gigging around Glasgow so perhaps it would be well to catch him soon. 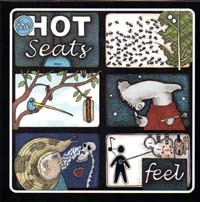 Hot on the heels of their live album recorded at a coffee shop in Ashland Virginia last year here’s a new studio album from The Hot Seats. They unveiled several of the songs and tunes on the album when they played here in May and anyone who knows the band will know what to expect here. That’s not to say that they are repeating themselves or going through the motions. Rather it’s another opportunity to marvel at their musical dexterity and to revel in their essential mixture of reverence and goofiness. Driving string driven workouts such as No Plans and Here To Get My Baby Out of Jail swing like hell and allow for plenty of inspired fiddle, banjo and guitar licks while the instrumental interludes (Rattletrap, Mineola Rag, Beasties In The Sugar, Hell and Scissors) almost inspire one to start a barn dance in front of the old desk. 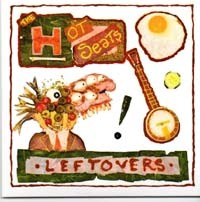 While the sheer vim and vigour of this whirlwind of plucking and picking makes The Hot Seats a must see live attraction their more restrained jug band side excels on the recorded medium. The rather risqué Peaches (unofficially accorded the title of the top song of the Shetland Folk Festival they recently played) allows Josh Bearman to fully wallow in the potential lasciviousness of this entendre laden ditty while the band slink along with a devilish mischievousness. Bearman carries on in this vein on Reminisce and Damaged Goods while his erstwhile bandmates strum and pick excellently along. The album culminates in the wonderfully titled I Wouldn’t Take Her To a Dog Fight, a song recorded by country singer Charlie Walker which for some might seem a tag misogynist. A great rendition by the band with all of their signature elements it’s a fine end to the album however we must say that on finding out that Walker’s version of this was recorded in 1967 was a surprise as the attitudes contained therein are somewhat antediluvian. We must mention here that due to the sweet talking of the band members’ Blabber’n’Smoke was cajoled into buying a companion disc to this album at their gig in the Universal in May. Titled Leftovers it has six pieces they recorded but didn’t put on Feel. No barrel scraping here with Yonder Comes A Sucker a fine addition to the canon while they positively buzz on the instrumental Shaking Down The Acorns. Benjo is a measured and almost stately banjo rag with some rugged guitar and washboard backing. Ragged But Right is a fine piece of country braggadocio and Texas Gals is a veritable hurricane of ensemble playing with fingers flying and strings a buzzin’. A hidden song at the end has one of the band singing a plaintive cowboy trail type song, a little out of character for the band but a neat little addendum for fans.